Team Photo Soccer Coach Mug Your Team Colors too. Wait until the kids see their Soccer Coaches face when they look at these soccer gifts for coaches, (some of them very funny). Some of the best soccer coach gifts. 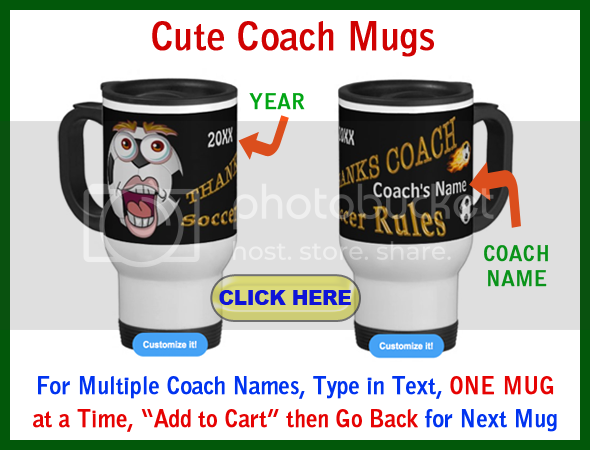 For different Personalize ONE gift at a Time, Add it to CART then return to customize the next soccer coach gift. See INSTRUCTIONS below. SCROLL WAY DOWN. 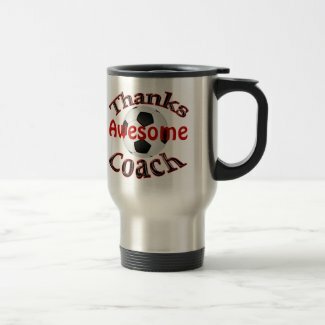 I designed most of these Fun Kids Soccer Coach Gifts Ideas so that you can PERSONALIZE them or leave as you see it or delete the temporary text. Most of the standard text can be customized. See the Soccer Coach Training Videos below too. Make great Soccer Christmas Gifts. 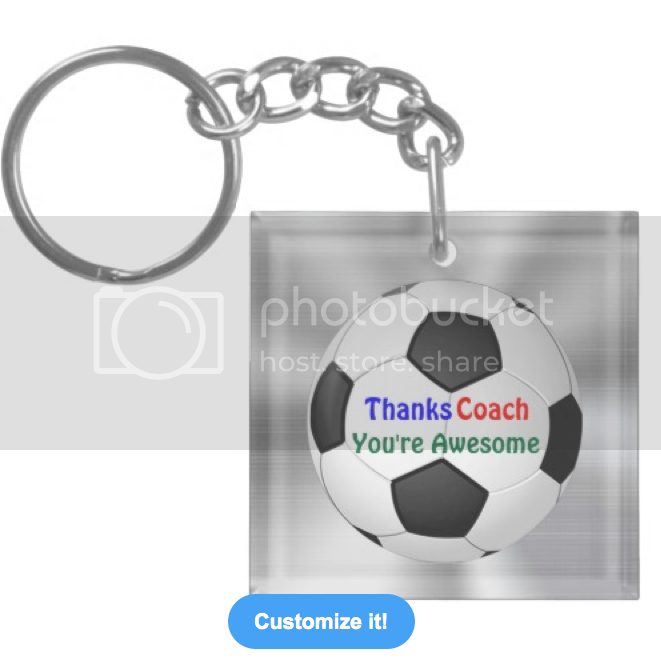 Click on the IMAGES of each Custom and Personalized Soccer Gifts for Coaches. Once you are on the product page, on your right, you will see Text Box Templates if it is customizable. You can even change the Background and Text Color in most cases. See INSTRUCTIONS Below or in the “Read More” of the product description of the Kids Soccer Coach Gifts Ideas. So cute and so funny. Funny and Cute Kids Soccer Coach Gift Ideas. Really cool Kids Soccer Coach Gift Ideas. Choose from lots of different Mug Styles including this White Ceramic Mug in 15 oz (shown here) and 11 oz. The Stainless Steel Travel Mugs are my personal favorite and my biggest selling style of mugs. They come in White and Stainless. The stainless steel is on the inside and outside of each of the Travel Mugs, with the outside just colored white over the stainless, for a different finished affect. The Coach will feel so happy to receives one of these great Coach Appreciation Gifts from his team, and personalized at that, that he’ll feel that it was all worth while and love the kids for it. That is what I LOVE about that mug. The lid closes and it fits nicely into most, if not all cup holders. I bought myself one and my mother a couple of these styled mugs. Save money on the ceramic mug in two different sizes, 11 ounce and 15 ounce soccer mugs. The coach will love their Black and white soccer mugs. Superb Kids Soccer Coach Gift Ideas. Type in YOUR TEXT, the Coach’s NAME, the YEAR, Favorite Soccer saying etc. You can also DELETE the Text by Highlighting it and Deleting it. If you have any trouble, please call me, Linda at: 239-949-9090. I can walk you through it or I can customize it for you, no charge of course. 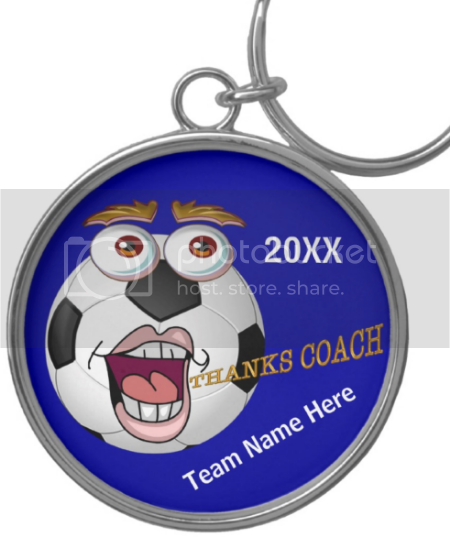 Not just Kids Soccer Coach Gift Ideas, but ANY of Little Linda Pinda Designs Zazzle Gifts. I can change the background color for you too. You will get to see it before you decide to buy it or not. My custom customers have been thrilled with their gifts. The coach will enjoy these Funny and Cute Kids Soccer Coach Christmas Gifts Ideas. 100% GUARANTEED with an amazing LESS than 1% Return Rate. Better Business Bureau gave them a wonderful A+ BBB RATING. You will love your Custom Gifts that are Quality and Affordable. You will likely spend a little more than some of the very cheap personalized gifts but you won’t regret it. Many of the Kids Soccer Coach Gifts can be Personalized and Some can be left as you see them. Check to see if there are TEXT BOX Templates to the Right of the Gifts on the Zazzle product page. Please visit our Soccer Stuff shop to see all of our cool soccer gifts for coaches, players, cheap soccer team gifts, mom and dad and even your doggie. These gifts are made with the Black and White Soccer Ball. Buy Bulk cheap keychains for the entire team. Come visit our Soccer Shop with cool soccer gifts for the whole family. Coaches, Mom, Dad, Doggies, Players and Soccer Team Gifts. Great Socccer Gifts. 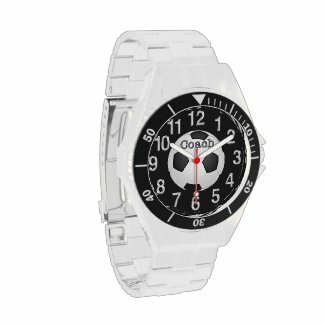 Cheap Soccer Gifts for UNDER 5 Dollars to more expensive Soccer Gifts, such as Soccer Watches and more. How to Change the BACKGROUND Color and TEXT Color? You can change the Background Color and Text Color by Clicking on the “Customize it” Button. Change the BACKGROUND COLOR: Click the “Edit” Drop Down Box within the “Customize it” area to your right. Select the very bottom word “Background” and Choose your favorite color box and (or Click Advanced to enter a Pantone Color Code) Click “Done”. When ordering multiple customizable products, Personalize One Product at a Time then “Add to Cart” and GO BACK to personalize the next item. I really appreciate and want to Thank you for visiting our feature for today, Kids Soccer Coach Gift Ideas. Feel free to contact LINDA. I will be happy to HELP you or Customize a Special Gift for You at NO CHARGE. If you see a design of mine that you like but wish it was on another product, I will put it on a different gift for you. You will get to see the gift before you decide if you wish to buy it or not. No obligation. My custom customers have been thrilled with their custom order requests. Soccer season is coming up quickly. Please Bookmark this page for when you are ready to buy Funny Soccer Coach Gifts for the Kids Coaches. Wait until you see their face when they look at these cool soccer coach gifts from the team. Kids Soccer Coach Gift Ideas. Say Thanks to your Coach and show your appreciation with cute gifts made especially for them. Men and Women Soccer Coaches will appreciate your gratitude and will smile each time they look at these cute coaches gifts. REVIEW from Amazon Custom who purchased the Coaching Soccer for Dummies Book. 4 Star Rating. Our Five Year Old wanted to play soccer this year. When we signed up, I noticed that they needed more soccer coaches. Well guess what? 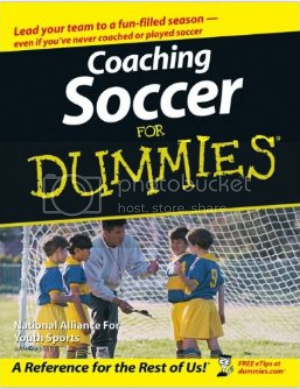 I am now a soccer coach so I went on Amazon to buy “Coaching Soccer for Dummies” book. If you decide to become a soccer coach, the first thing I recommend that you do is purchase one of the many Soccer Coaching Books. This book got me going. It has guidelines on how to deal with the soccer player’s parents and taught me the many different aspects of soccer. I do recommend this particular “Coaching Soccer for Dummies” Book if you are new and just beginning to coach soccer because it is quite basic. If you are an experienced coach, I don’t think this book is for you. It is more of a beginner soccer coaching book. Funny Soccer Ball really appreciates all the hard work and time that your coach gave to the team. Have fun watching your coaches face when he looks at these funny youth soccer coach gift ideas. Many of the gifts have different style and or color options to choose from. Your coach will never forget this soccer coach gift. Soccer Coach Gift Ideas are designed by Little Linda Pinda. If you would like me to make any changes or place any of my creations on any Zazzle merchandise, please feel free to call me. Thanks for stopping by and reading and viewing our Kids Soccer Coach Gift Ideas. Let me know if I can create something for you. Lots and lots of Personalized Soccer Coach Gifts. Thank you so much for shopping with Little Linda Pinda and looking at our Kids Soccer Coach Gifts. I hope you found soccer stuff that you liked. If not, I can make one for you. No extra charges for custom orders and no set up fees or minimums. 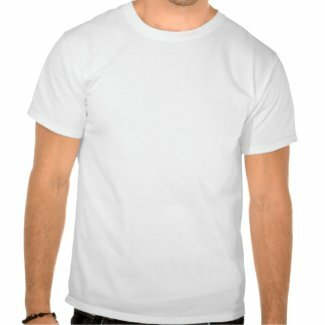 I make a small commission from Zazzle and Amazon as I am a Pro Designer for Zazzle and an Amazon Associate. I really appreciate that you stopped by and looked at our new Youth Soccer Coach Gifts. I will be more then happy to make any changes to any of my designs. I am so grateful to my daughter, Heidi, for ordering soccer mugs last year from me as it started me on an entire new adventure creating original and cool Coach Gifts for many, many sports. I was so excited when people started ordering the same mugs that I made for her little guy. Thank you for stopping by and shopping with Little Linda Pinda Designs. I can change the colors for you, add text templates to fit your team needs or place any parts of our designs on most Zazzle products. Give me a call or email me and I would love to help you.